After only 8 years, I finally got around to redesigning the website! 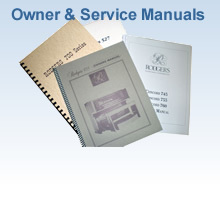 In addition to a new look and better functionality the owners and service manuals list has been updated and museum will be much more informative. 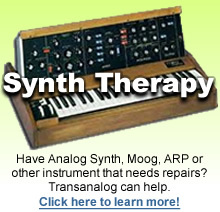 Also, in response to the many, many emails I get I will soon be offering used and NOS parts to keep your vintage synth, keyboard or organ running. As manuals or parts are added and as the museum is expanded I’ll be sure to post an update here. Also keep and eye out for new keyboards, projects, pictures or any other musings I feel like posting. Transanalog was started in 2003 by electrical engineer Michael Dewenter after leaving his career in the petrochemical field. Drawing on his love of music and vintage electronics he has formed a company which devotes itself to the creation of products with unique sound and quality aesthetics.